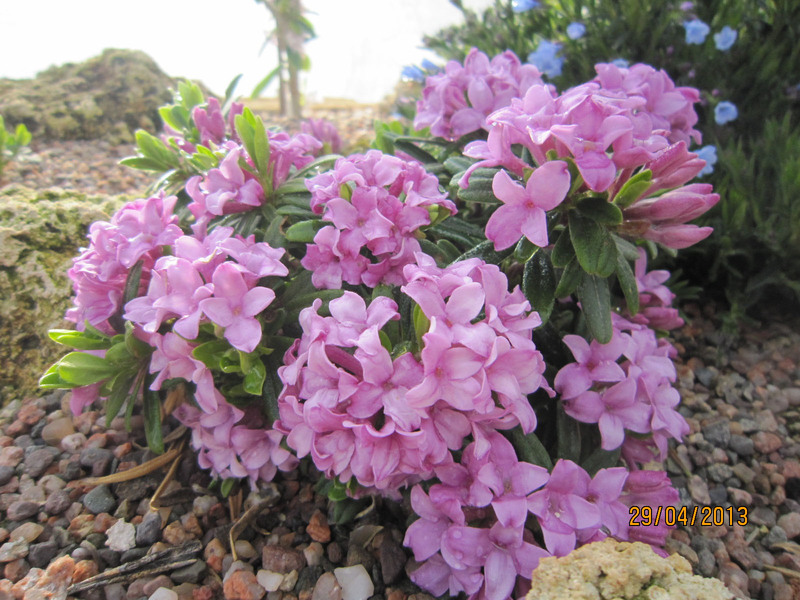 Fairly open dwarf shrub of neat shape,tubular mauve-pink fragrant flowers from May and repeats in flower during summer and autumn. Deciduous variety having fairly upright,bushy growth. 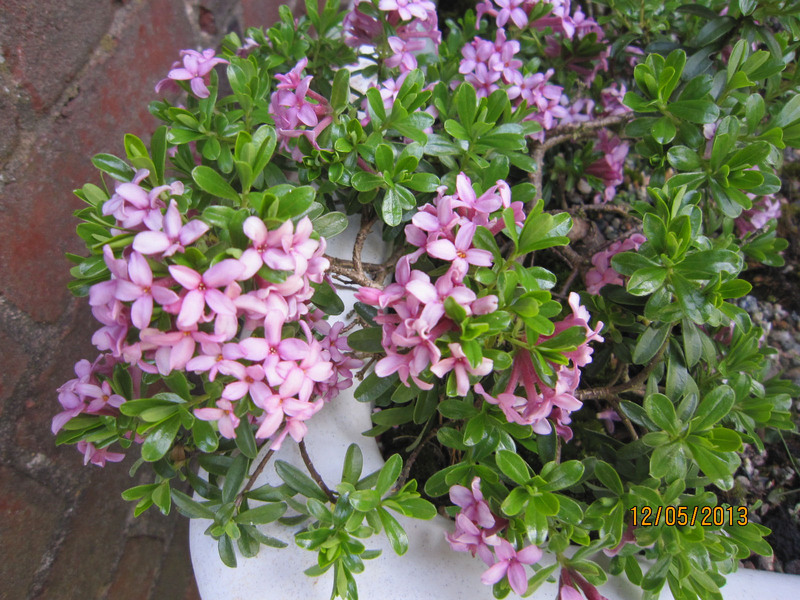 The mauve pink fragrant flowers line the stems from February/March. Height 90-120 cms. 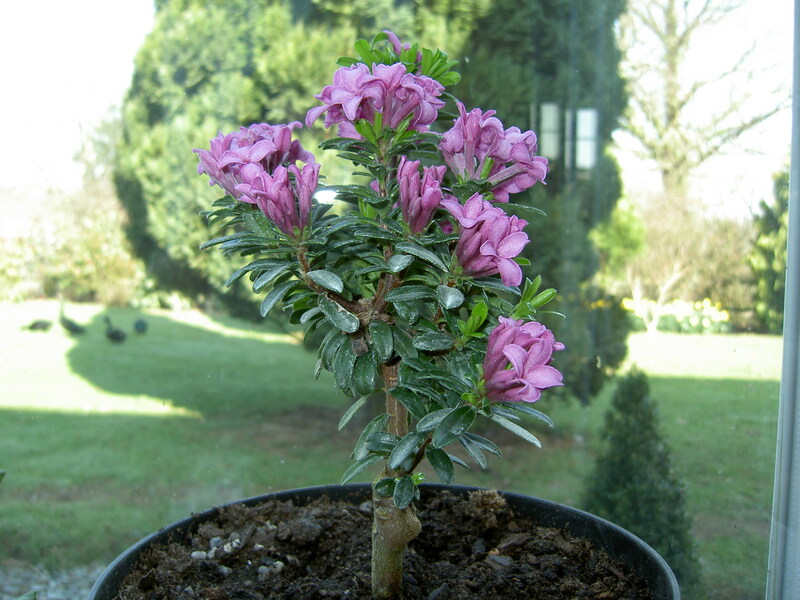 Neat,rounded small shrub,rich pink fragrant flowers from May,often repeating in summer and autumn.Height 30-45 cms. Neat and robust evergreen to about 60cms x 60cms. The rich pink,beautifully scented flowers are borne in profusion in April/May and then repeat sporadically during the remaining growing season. Large,glossy gold edged leaves.Richly fragrant mauve budded white flowers start as early as February and continue to April.Makes a bushy shrub to perhaps 120 cms. One of the larger Daphnes and suited to growing in semi-shade. Rich,glossy green evergreen foliage. The spidery,fragrant tubular yellow/green flowers are borne in mid to late spring and often followed by round black fruits. 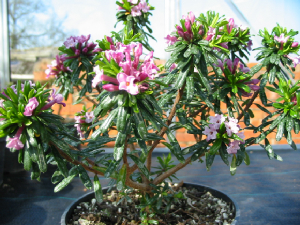 Neat upright growth of glossy foliage.Rich pink heavily scented flowers from May and readily repeats in summer and autumn.An excellent dwarf Daphne to around 45-60 cms. (Daphne x burkwoodii 'Somerset' x Daphne collina)Neat,rounded evergreen growth up to about 75 centimetres in height and spread. Richly fragrant soft rose-pink flowers are borne intermittently from Spring and through the growing season. Neat,rounded dwarf shrub of dense,evergreen foliage. Flowers of rich pink are very fragrant and are borne in Spring but also has a good flowering in mid-summer. Height and spread 30-45 centimetres. 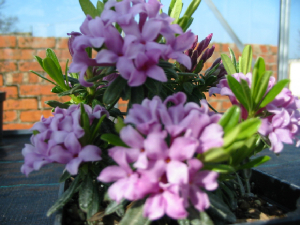 Excellent spreading variety,rich pink fragrant flowers from May and then repeating in summer and autumn,neat growth of glossy green leaves.Spread to 90-120 cms. 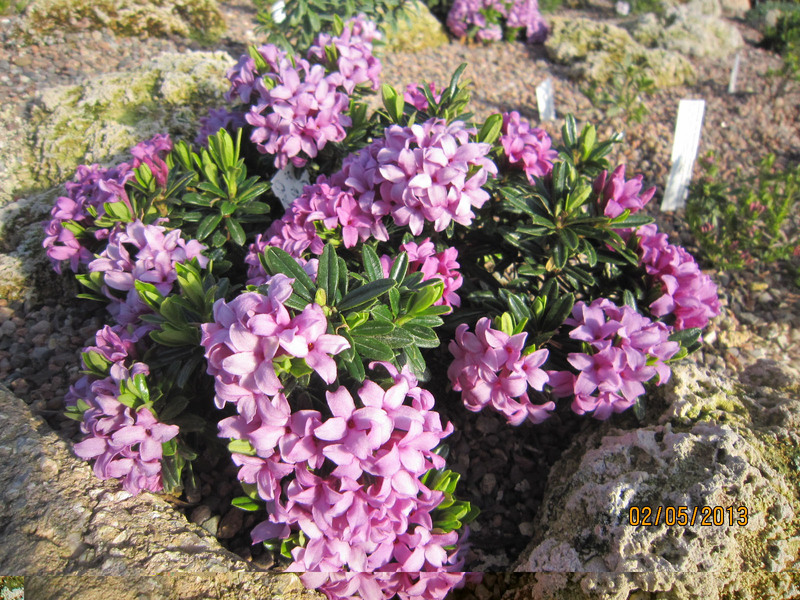 Forms a neat,dense mound of glossy foliage which is covered in heavily scented soft pink flowers in May,often repeating in flower later in the season.Height to 60 cms.